The Committee met for its second day of hearings on the annual report of the South African Police Service (SAPS) for the 2016/17 financial year. Beginning with the situation in Philippi East, SAPS reported that the Marikana informal settlement posed several infrastructural challenges which had exacerbated the insecurity prevalent in the area. The officers at the police station were currently limited to foot patrols and attending to complaints, due to inadequate capacity to penetrate in the region. New reinforcements would be deployed into the area to assist in dealing with the illegal firearms and illicit liquor outlets. All officers of the Crime Intelligence division would also be vetted to ensure their non-involvement in any of the criminal activities in the area. The Committee was taken through the annual report’s indicators, targets, actual performance, the reasons for deviance, corrective actions and highlights for Programme Three: Detective Services. Members questioned the reasons for the low planned targets, and why some had not been achieved. Discussion was focused on the detection rate for serious crimes, contact crime, crimes against women 18 years and above, criminal and violent conduct in public protests, and the conviction rate for criminal and violent conduct in public protests, all of which had not been achieved. The strategies suggested to overcome the identified under-performance included thorough and responsive investigation of all reported crimes, optimal utilisation of investigative aids and experts to support in identified cases, and enhanced integrated data integrity. In Program Four: Crime Intelligence, it was noted that six (75%) of the set targets were achieved, and only two (25 %) remained unachieved. However, this was a decline in performance as compared to the previous year, which had recorded a 100% performance rate. With regard to Programme Five: Protection and Security Services, and the Directorate for Priority Crime Investigation (DPCI), all seven of the targets were achieved. The programme had the strategic objective of minimising security violations by protecting foreign and local prominent people and securing strategic interests. There was concern over the qualified audit report that SAPS had received from the Auditor General of South Africa (AGSA). Members pointed out discrepancies in the figures reflected by SAPS and AGSA, and were advised that this could be due to different interpretations of the formula used to calculate the SAPS performance. There was also the possibility of human error during the keying in of the data, or non-compliance by officers who did not key in the required data, resulting in under-scoring or over-scoring of performance. A controversial issue was the protection currently being given to Dr Nkosazana Ndlamini Zuma, and the rationale for affording such protection. While some Members asserted that the cost involved was an abuse of taxpayers’ money, SAPS responded that there had been a threat assessment conducted by the State Security Agency (SSA), which had confirmed the existence of a threat as envisaged in the policy. The threat had been scrutinised and found to have been in accordance with the Strategic Intelligence Act, and was equally valid. There had been a review of the deployment, based on the extent of the threat, which was reevaluated after every quarter by crime intelligence and the SAPS. The outcome of the review would determine whether the threat continued to exist. Lt Gen Khombinkosi Jula, Provincial Commissioner: Western Cape, SAPS, said that the illegal liquor outlets in the Marikana informal settlement area fluctuated according to the police interventions in place. The informal settlement had been formed due to an illegal land invasion on Power Construction’s property, to which people had migrated from various areas leading to the growth of the settlement over time. Although, there should be 145 SAPS members operating at that station, it was currently capacitated at 96%, with vehicle resources also under-capacitated. The most prevalent crimes in the settlement included street robberies, car hi-jackings, and house and business robberies. Identified targeted victims were both residents and foreign nationals and pedestrians walking along intersections and businesses operating in the area as well. There had been a spike in murders since 12 September 2017. Persons had been found burnt to death, others had been stabbed, while others had been injured in various separate incidents that appeared to be vigilante related. In response, there had been about 1 200 operations conducted in search of illegal liquor in the area, and also various cluster operations focused in the settlement, with 294 arrests having been made so far. The arrests ranged from common robberies to serious offences. There had been a break-in at the Marikana business complex, and seven arrests had been made. From April 2017 to 20 September 2017, there had been a total of 18 illegal firearms arrests in the area. In response, 207 officers had been assembled to focus on the areas zoned as ‘hotspots’ in the settlement. They would focus on the profiling of known and identified suspects, and would conduct intelligence driven operations for the proliferation of firearms in the area. Among the many challenges faced in the settlement was its infrastructure. The informal structures had been erected in a way that made it difficult for the police to access most of the areas during patrols. Lack of street lighting at night and remote public amenities such as public toilets also contribute to the challenges faced. The narrow pathways in between the informal structures had made it inaccessible for vehicle patrols and had thereby limited the nature of patrols to be done only by foot. In light of the danger posed and the challenges faced by the officers, the settlement remained an area where conventional policing did not work and was manageable only where there was a strength in numbers of officers so as to safe guard their lives. As such, more resources would be deployed to the station, including 40 new officers. SAPS would also try to strengthen community partnerships and engage with the City of Cape Town and the municipality so as to address the infrastructural issues, especially the lighting. The Chairperson said that there had been reports indicating that the violence was mainly motivated by young gangs in possession of illegal firearms. He asked on how the Directorate for Priority Crime Investigation (DPCI) would be engaged to assist on the issue of those firearms, and also what efforts were being taken within the cluster to improve on the urban design. Ms M Molebatsi (ANC) said that the SAPS crime intelligence had been found wanting, as it appeared to be only a reactionary force. She asked why SAPS could not eradicate the illicit liquor outlets if they had been identified. She also requested a further explanation regarding the reported vigilante killings. Mr L Ramatlakane (ANC) asked what the role of the cluster was in relation to what could now be perceived as a daily occurrence in Marikana, and whether there were any plans to neutralise the persistent threat. He asked whether all options had been exhausted, whether SAPS had the capacity to deal with the problem, and why SAPS appeared to be reluctant to respond to the known vigilantes. He said that there had been reports alleging collusion between officers and the vigilantes operating in the area, and asked whether these allegations were true. Ms M Mmola (ANC) asked whether there were any police patrols around the malls, or cameras monitoring the streets and the shops that conducted business there. Mr P Mhlongo (EFF) said that the geographical nature of Marikana frustrated the efforts of SAPS. He expressed his concerns regarding the transfer of officers who enjoyed the confidence of the people to other regions, leaving others behind to deal with the problem. He said that there were conflicting reports regarding the SAPS’ performance and the information gathered from the resident community and asked whether SAPS had given the Committee the correct information regarding their alleged response time. Mr Z Mbhele (DA) said that despite the SAPS report indicating that the station was lacking only six officers, the stations were severely understaffed and did not have capacity to handle the crime situation on the ground. He asked on what would be the ideal staffing of the station in light of the nature and level of criminality in the area. He also asked whether the 40 officers would be new recruits or whether they would be reallocated from other stations. Any such reallocation would only transfer the same capacity-related issues to the other stations. Ms D Kohler Barnard (DA) said that vigilante attacks indicated the residents’ loss of faith in the police, and she thereby sought clarification on whether it was indeed vigilantism or an issue of gang warfare. The deployment of 40 new graduates in such an extremely dangerous area may be ill advised, since they would lack the necessary field experience. She also pointed out that the SAPS report had not indicated whether there had been any shutting down of the illegal liquor outlets. She asked whether there had been lifestyle audits of the police in the stations in order to verify that none of the officers operating in the area was linked to any illegal activity, since there had been reports that some members were corrupt. She also asked whether there was any form of crime intelligence in the fight against drugs since if there was any, the drug lords would have been identified and arrested. Mr P Groenewald (FF+) said that the problematic area identified was relatively small in size and therefore only confirmed the allegations that either the police were involved in the prevalent criminal activities or were afraid to go into the area. He asked how there could be still be illegal liquor outlets operating in such a small area in light of the number of resources dedicated. Lt Gen Jula said that SAPS had engaged the newly formed section of the DPCI over the proliferation of firearms in Marikana, among other areas. SAPS had become aware of the criminal gang leaders, and a targeted approach would be initiated by the crime intelligence unit in finding out their hideouts. Presently, SAPS was already executing arrests and cleaning up the area on the identified criminal elements. Lt Gen Lesetja Mothiba, Acting National Commissioner, said that SAPS had engaged the cluster in the provinces for solutions. However, the clusters only had a long term plan which went beyond 2030 with regard to human settlements. The situation in Marikana was common in all townships. There were no street numbers, which affected SAPS’ response time when called to a crime scene. Maj Gen King Ngcobo, Acting Divisional Commissioner; Crime Intelligence, SAPS, admitted that SAPS had reacted very late in recruiting sources for Philippi East. However, the process was ongoing and there would soon be results. Lt Gen Mothiba, said that although SAPS raided known illegal liquor outlets, their efforts had been frustrated by the fact that the sale of illicit liquor had become a way of life of the resident community and therefore despite the closure of numerous outlets, many more outlets kept on mushrooming. Lt Gen Jula said that the targeted approach strategy would target specific perpetrators and would take them out of circulation. The incidents were indeed vigilante acts, since the members of the community had taken the law into their own hands and had lynched three suspects. Suspected perpetrators of the crimes had been arrested and investigations were still on going. Lt Gen Mothiba said that SAPS was working hard in that area, and the Minister was currently holding an imbizo to determine concrete solutions. In the meantime, SAPS would try to work closely with the local leaders. Mr Ramatlakane asked whether any criminal profiles had been made, and whether there had been any actions taken. Gen Jula said that the area had been profiled and the plan would not be reactive in nature, as it would operate in a targeted approach. All known persons would be rounded up and all criminal activities suppressed. There were patrols in the area and the area had been divided into sectors which had been zoned to identify the problem areas. The surveillance cameras were operational and currently being used by SAPS and the cluster had also conducted a number of operations during the month of May, seven in July, one in August and one in September. Lt Gen Mothiba, said there was a need for the cluster in the province to assist, since SAPS could not afford to make saturated patrols in light of other areas that demanded similar attention. The geographical location of the Marikana settlement made policing difficult to patrol. SAPS did not have enough numbers to penetrate the region and the existing capacity was limited to attending only to complaints. With regard to the redeployment of good officers, he said that officers eventually outgrew their rank and therefore merited promotion. Gen Jula said that the average response time was good, but the main activity had been constrained to attending only to complaints, since officers could not move into the area without backup. Maj Gen Jack Makgato, Component Head: Organisational Development, SAPS, said the Philippi police station was at category C1, which was supposed to have a maximum capacity of 280 officers. However, currently it was operating below par. Gen Jula clarified that the 40 new officers would be graduates from the academy, and not redeployments from other stations. There would be an induction for new members before deployment and thereafter they would be paired together with experienced members. With regards to the lifestyle audits, SAPS had been receiving complaints of suspected officers in the station who were colluding with the criminals, and investigations in this regard were ongoing, and implicated members would be prosecuted. Lt Gen Mothiba, said that the area was very unique and demanded unorthodox policing due to the poor infrastructure which prohibited conventional methods of policing. The police station needed support from the cluster at the province, but due to competing priorities, regular patrols were not always possible. It was also difficult to say the exact numbers of the illegal outlets as they were always varying, since once they were closed down, they reopened elsewhere. Ms Molebatsi proposed that the police use horses to patrol the area as a solution to the accessibility problem. Mr Ramatlakane said that the Marikana issue was very serious, since SAPS had admitted that it was impractical to send patrols into the area. He said that there was a loss of confidence in SAPS by of the resident community, and asked what the targeted objective of the Minister’s imbizos had been in light of the challenges faced by the station in the area. He believed that there was no legitimate reason why SAPS could not resolve the situation in Marikana. Mr Mhlongo said that the residents had begun to conduct patrols due to a lack of confidence in the police. He asked whether it was possible to mobilise the officers of the Western Cape and move into the settlement. He said that there were some senior police officials who were fueling the violence in the area. Mr Mbhele asked whether looking at reservists, community patrols and other options would be a force multiplier and a solution to the capacity issue and budget constraints. Ms Kohler Barnard asked whether there was a centralised monitoring control room for the installed surveillance cameras. The Chairperson emphasised the matters placed on the table by Members were serious. This incident was reported internationally. Looking at September, one was looking at 23 murders - that is very, very serious. This requires extraordinary intervention but this was not heard this morning. He pointed out that Acting National Commissioner came from the National Management Intervention team but input from this team was not heard. If more than 20 people were killed in one district, the cavalry was needed, along with resources, as was recommended in the case of Glebelands and KZN. 28 citizens of the country were killed and the sense was continue with business as usual. The Committee requires urgency and prioritisation - SAPS would have to go back and review the current strategy to regain the confidence of the community. The matter raised the question of whether SA had a two-tier policing system - it cannot be that in some urban communities the cavalry was brought in while in some rural communities it was not. It was vital to move away from the risk of having a two-tier system. Gen Jula said that SAPS could consider the use of horses in patrolling those areas, but due to the nature and the design of the shacks having been built too close to each other and the lack of lighting at night, there might still be a challenge to horse patrols. SAPS was currently rounding up all gang-affiliated members and a specialised team of detectives was monitoring the surveillance camera feeds from a centralised location. Gen Sehlahle Masemola , Deputy National Commissioner: Policing, SAPS, said that SAPS could not reveal the sensitive details of the ongoing operations, as it may compromise the objective missions. Lt Gen Gary Kruser, Deputy National Commissioner: Management Intervention, SAPS, said that SAPS was also collecting research data. However, details were also sensitive and could not be revealed at this time. The Chairperson expressed the Committee’s concern regarding the Auditor General of South Africa’s (AGSA’s) audit reports, which showed a regression. Ms Kohler Barnard said that there was an issue regarding section 45 promotions and appointments. There had been 83 officers promoted to high ranks without any selection process being conducted. She asked how the promotions had been done, and the rationale behind them. The Chairperson added that there had been several promotions to various ranks -- one promotion of a general, 21 of lieutenants general and 39 of brigadiers. The National Development Plan obliged all promotions to be on merit and a competitive basis. This mass scale might have an impact on the performance and merit. Lt Gen Mothiba said that the promotions had been made in the past financial year, and he had been appointed only in June 2017. However, some of the posts had been needed urgently, while others had only been upgraded. Any further delays in filling the posts would have defeated the purpose of filling them. Ms Kohler Barnard said that the Committee should get a full list of the promotions and explanations given for each promotion. She stressed the need for a full investigation conducted in the matter, as some officers who may have deserved those posts may have been overlooked. Mr Mhlongo asked whether the decisions by the National Commissioners and their Deputies regarding the promotions had been taken collectively, focusing on what needed to be done, or whether there had been unilateral decisions. Currently there was a move to saturate crime intelligence by some people for purposes other than fighting crime. Mr Ramatlakane requested more explanation in writing regarding the promotions so that the Committee could follow up. The explanations regarding the urgency of the posts were unsatisfactory. He asked whether such a practice was still on going. The Chairperson asked whether that practice had ended, or if it was still ongoing. Lt Gen Mothiba said that the practice was ongoing, but on a limited scale. The Chairperson asked how many such appointments had been made, and at which ranks they had been made since the appointment of the Acting Commissioner. Lt Gen Mothiba said that the promotions had been from the rank of Lieutenant Colonel to Major General. The Chairperson expressed his concern regarding the prevalent leadership problem in SAPS and the skill levels of the cluster commanders. There should be an objective methodology of appointment. Mr Mhlongo said that as a Committee they should protect the constitution for the sake of the country against illegal or unfair promotions. He said that some of these officers were political appointees, and should be investigated. The Chairperson asked about the status of the investigation on Major Gen Pat Mokushane, who had been fired as acting head of crime intelligence. Lt Gen Mothiba said that the informant in the investigation was no longer cooperating, leading to a stall in the proceedings. Major Gen L Rabie, Component Head: Strategic Management, SAPS, said that overall the programmes had achieved 27 out of 34 targets. This was an improved performance as compared to the previous financial year, which had a 61% achievement rate as against this year’s 76% achievement rate. Percentage of non- routine case exhibits (entries) finalised. Strategies suggested to overcome the identified under-performance were thorough and responsive investigation of all reported crimes, optimal utilisation of investigative aids, experts to support in identified cases, and enhanced integrated data integrity, among others. With regard to Program 4: Crime Intelligence, it was reported that six (75%) of the set targets were achieved and only two (25 %) remained unachieved. This was a decline in performance as compared to the previous financial year, which had reported a 100% performance rate. The strategic objective was to gather crime intelligence in support of the prevention, combating and investigation of crime. Only one of the performance indicators was not achieved. This was in relation to the percentage of information communication technology (ICT) security assessments finalized, which was attributed to a late request in March 2017 that could not be attended to. Major Gen Rabie said that with regard to Programme 5: Protection and Security Services, all seven of the targets were achieved. The programme had the strategic objective of minimising security violations by protecting foreign and local prominent people, and securing strategic interest. The Chairperson said that the AGSA’s report found issues with the leadership in SAPS owing to the fact that the office of the Deputy National Commissioner for Crime Detection had been vacant for a long time. This could be attributed as a contributing factor to the poor performance in Programme 3. He asked what the National Commissioner would do to improve the programme’s performance. Mr Groenewald asked for clarification on the arithmetic calculation of the rates relating to the detection of serious crimes, the percentage of trial-ready case dockets for serious crimes and the conviction rate for serious crimes. On protection and security services, he asked whether the Committee could get an update on the protection provided for Dr Dlamini Zuma – whether it had been stopped and when it was stopped, since she was not entitled to VIP protection in the first instance. At a previous meeting with the Committee, SAPS had intimated that there would be a thorough investigation into the matter, and he wanted to know the status of the investigation. Mr Mbhele said that in Programme 3: Detective Services, there had been quite a low detection rate for serious crimes. He pointed out that new organised crime units that had been established in the Eastern Cape as a pilot project, not part of the DCPI, with the mandate of investigating localised crime syndicates. There seemed to be confusion between the mandate of the DCPI and these units, and the rationale for their existence had been to address the capacity gaps that were not addressed adequately by either SAPS or the DCPI. He also asked for clarification on the rationale and intended mandate of these crime units. He asked why the projected detection rate for trial ready case dockets was 30 which, in his opinion, was very low. Regarding Pprogram 4, he said that there had been reports which indicated that the support of intelligence at the cluster level was inadequate for it to operate effectively. According to the published SAPS report, there had been an operation where six suspects had been arrested with jamming devices. He also asked about the status of the regulation and control of jamming devices, since they were supposed to be highly regulated, and whether the system had been compromised. Ms Kohler Barnard said that there had been reported cases of abuse of laboratory evidence, and asked whether SAPS was facing the potential threat of mass litigation challenging convictions relating to the tampered forensic lab results. She also pointed out that there were instances where police officers facing criminal charges had been given golden handshakes and boosted pensions, and asked whether this practice had been stopped. There appeared to be preferential treatment, since there were other officers who were yet to receive their pensions and were now languishing in poverty. According to the AGSA report, SAPS’ success claims were far higher than those proven by the AGSA. She asked why threatened witnesses were not being protected, and whether there was a strategy to protect them. Mr Mhlongo pointed out that the projected target detection rate for serious crimes was very low, and its actual performance was much lower. What was the rationale for setting such a low target? He said it had been established that procurement fraud and corruption-related cases were driven mainly by greed. Why had suspected individuals not been arrested -- was it because of political patronage and interference? He asked on why OR Tambo International Airport was the only point of entry being investigated, yet other entry points may have been compromised by drug traffickers. Ms Mmola also expressed her concern regarding the low targets that were not achieved, and asked whether the targets could be increased. Low targets may indicate laxity in the Department and may need to be reviewed. She also asked for the identities of the people intimidating witnesses. On crime intelligence, she asked why its planned target was only 60%, and why it had not been set at 100%. Mr Ramatlakane said that the AGSA’s report contradicted the success reported by SAPS. He asked whether there was a problem of accurate record keeping, which had brought about the conflicting reports. Was SAPS satisfied with the low targets, and were they just easily achievable? Ms Molebatsi she asked for an update regarding the challenge described in a previous meeting, of junior officers vetting their seniors. On protection services, she pointed out that there had been a number of housebreaking incidents at Ministers’ residences, and asked whether the protection services were adequate. She queried the criteria for the allocation of cases to the DCPI. Lt Gen Mothiba, said that they had met with the AGSA, and had agreed to meet within the course of the financial year. The vetting of the staff of crime intelligence was still ongoing. Major Gen Ngcobo said that everyone at SAPS was being vetted. Vetting at the lower level was still ongoing, and about 270 security clearances had been signed. Regarding crime intelligence, there was a ratio of three sources per handler. However, this restriction negatively impacted on their performance, as the Department was in need of more sources. SAPS would try to improve on the ratio in order to be informed from many sources. On the network operations, the previous target had been 755, but currently it was at 800 operations. When clusters worked on a network operation and identified it as a syndicate, they handed it over to the province to take operational control since they lacked the capacity to handle such covert operations. Mr Mbhele asked whether the figure of 800 network operations was adequate for crime intelligence, given the breadth of the landscape to be covered, the growing slyness of the syndicates and the complexity of the criminal activities. Major Gen Ngcobo said that currently there were about 21 000 network operations being conducted at all clusters. Major Gen Ramatsoele said in cases where a criminal incident occurred at one place at one time, it would be regarded as one docket, despite the presence of multiple counts. However, during detection, the SAPS system currently did not count the docket but counted the charges or counts, thereby making it one docket with multiple counts. On trial ready cases, it was the docket with multiple charges that was declared trial ready, and not the counts. This explained the disparity in the total number of reported detected cases and those that were trial ready. On the conviction rate, the court may have multiple dockets pending, but the system counted charges and not the number of dockets. It was thereby calculated with the formula: ‘guilty counts,’ divided by the ‘guilty counts’ plus the ‘not guilty’ counts, multiplied by a 100%. The rest of the unfinalised cases were not considered in the calculation for that month and were carried over to the next month. Mr Groenewald asked for clarification regarding the formula. Major Gen Ramatsoele explained that one may refer to charges as counts or cases, but dockets may have multiple charges or counts or cases. Mr Groenewald said that the explanation for the formula was not clear, since there appeared to be a disparity between the number of detected counts and the number of convictions. He requested that the Committee be provided with the formula on paper so that they could understand it better. Major Gen Ramatsoele said that the formula was the SAPS technical description indicator, and was reviewed every year. It was used to evaluate the progress of SAPS. Ms Kohler Barnard asked whether the differences in the AGSA’s calculations related to a misunderstanding of the formula. Major Gen Ramatsoele said that the AGSA had identified some areas where SAPS had underscored itself in the system, which had affected the performance records. These could also be attributed to potential human error during the capturing of the records in the system. Ms Kohler Barnard said that the explanation regarding errors during data capturing was plausible only to some extent, but could not be used to account for most of the disputed figures between the AGSA’s report and the SAPS report. Mr Ramatlakane asked for clarification on whether both SAPS and the AGSA agreed on the formula and disagreed only on the human error during the calculation or capturing of the data. The AGSA’s figures and those declared by SAPS were too different. Were there measures to identify the problem and prevent it from recurring? Major Gen Ramatsoele said that SAPS’ technical description indicator explained the formula and there was nothing wrong with it, despite the AGSA’s pointing out instances of miscalculations. The AGSA had no issue with the formula. Mr Ramatlakane said that if the formula was correct, then both SAPS and the AGSA would come to the same answer. Lt Gen Kruser said that there was not only human error but also non-compliance, where people did not capture the required data and therefore created the variance. Mr Groenewald said that the explanation for the variances placed suspicion on every figure put forward by SAPS. The Chairperson asked for the National Commissioner’s view on consequence management for non-compliance. Lt Gen Mothiba said that there was nothing wrong with the formula, the technical indicator or process flow, and the issue was only the human error and non-compliance. There would be consequences and audits conducted to get improved results by the end of the year. SAPS would be targeting the top management, from the provincial commanders to the cluster commanders. The Chairperson said that from the AGSA’s report, there had not been any improvements on the source documents, and asked how exactly people would be held accountable. Top officers needed to be held to account so as to set the tone for the rest of SAPS. Mr Mhlongo said that the divisional commanders should appear before the Committee to answer on the issue of non-compliance. Mr Ramatlakane suggested that the Committee should get a report regarding the measures relating to the action taken against officers who were not complying. Mr Groenewald asked for a response regarding the issue of Dr Nkosazana Ndlamini Zuma. Ms Mmola suggested that the Committee should wait for the National Commissioner to engage with the provincial commanders, and summon them in the event they did not comply. Lt Gen Mothiba said that SAPS would visit the various stations and then give the Committee a report. In the event of non-compliance, there would be consequences. The provincial commanders would be taking the lead. All crime intelligence officers would be vetted. However, it was a process. Lt Gen Khehla Sitole said that with regarding the protection services, during Dr Ndlamini Zuma’s term as head of the African Union (AU), she had been granted executive protection. Shortly before the expiry of her term, there had been a threat assessment conducted by the State Security Agency (SSA), which confirmed the existence of a threat as envisaged in the policy. The threat had therefore been scrutinised and found to have been in accordance with the Strategic Intelligence Act, and was equally valid. There had been a review of the deployment, based on the extent of the threat, which was reevaluated after every quarter by crime intelligence and the SAPS. The outcome of the review would determine whether the threat continued to exist. Mr Groenewald said that the final report was to have been completed by the end of July, but had not been completed to date. He refused to accept the existence of the threat reevaluation, and said that Dr Zuma still enjoyed the said protection. He asked why the presence of excessive protection was preferred. The police were being misused for political gain, and it should stop immediately. He asked why the Committee was waiting for another assessment to be conducted, yet it had determined the protection should end in July. Ms Kohler Barnard said that this practice had been followed before for Mr Julius Malema in 2011, until he left the ANC. SAPS was being used for political gain, and it should stop. Mr Mbhele said that the results of the review on whether the term for the protection should be renewed or withdrawn should have been given by the end of September, otherwise further delay would result in the debate being a moot point, since Dr Zuma would mostly likely be appointed as a cabinet secretary and thereby qualify for the protection. Mr Mhlongo said that by the time the Committee returned from its visit to China, Dr Zuma would most likely be appointed as a cabinet Minister and thereby merit the protection being debated. He proposed that the Committee should not engage in such politics and should move on. Mr Groenewald raised a point of order, and said that he did not share the same sentiments. Mr Ramatlakane said that the discussion was now stretching over into the ANC as an organisation and had the potential of diverting the debate into another direction. He said that everyone was entitled to be protected when their life was under threat, and asked for clarification on whether the handover had occurred at the time when SAPS had promised it would. Lt Gen Sitole said that the protection of Dr Zuma was in a transition from presidential protection, and had been finalised in August. During the handing over, it had been scrutinised based on prescribed prescripts. The threat had been found to be valid and had warranted protection. The deployment had been reviewed and was acted upon, based on the threat assessed. The prescripts obliged that threat be evaluated per quarter, and this was what was currently in progress. SAPS had complied with both the Strategic Intelligence Act and government policy. Mr Groenewald said that in August, the Presidential protection had stopped and the Protection and Security Services (PSS) had taken over. He asked for the difference between the two types of protection and if there were persons other the President and cabinet members who were receiving protection, and who they were. The Chairperson said that the Committee should respect the confidentiality of the details that would be detrimental to the safety and protection of those individuals. Ms Kohler Barnard said that SAPS had been protecting a civilian at the expense of other citizens in need of the same protection. It was not up to taxpayers to protect civilians. She asked why a Member of Parliament had been granted such exclusive protection, and suggested that taxpayers’ money was being used to protect the former wife of the President. These were political decisions, and they should not be made by SAPS. Lt Gen Mothiba said that SAPS had the list of the people who were being protected and had followed all prescripts and statutes. The Committee was being unfair to the officers, who were only carrying out their duty. Mr Groenewald asked about the difference between the two types of protection. The Chairperson advised Members not to take the responses too personally and to stick only to the facts. Mr Ramatlakane said that the answer to the question had been given. The matter was under the VIP Protection now, and not the presidential protection. All actions carried out by SAPS were provided for in the policy. He suggested that the Committee should wait for the results of the recent threat review so as to make an informed decision. Mr Groenewald clarified that his previous question was on the difference between the Presidential protection and VIP protection, and if he would be correct to assume that the level of resources used were different. Mr Mhlongo said that the rules of engagement had been breached from the outset with the pretext of a security risk, to achieve a particular political objective. Lt Gen Sitole said that the policy had laid down the rules of deployment. However, in ad hoc cases, the policy did not determine the numbers of deployment since they were determined by the nature and level of the threat. There were three categories of threat levels -- low, medium and high profile. However, he was not in a position to disclose the number of resources deployed since it would be a violation of the Strategic Intelligence Act. Mr Groenewald said that although security would be a legitimate reason not to answer, he did not believe it applied in this particular case. Both types of protection appeared to be the same, and it was unfair for the taxpayers to pay for it. Lt Gen Yolisa Matakata, acting Hawks head, said that the target for trial ready cases had been set for the 2014-2019 medium term strategic framework (MTF) period. The Committee had previous pointed out that the target was very low, and it was now being reviewed. Gen Ngcobo said that jamming devices were regulated by Independent Communications Authority of South Africa (ICASA). It was illegal for anyone, other than the police, to be in possession of the devices. Regarding the inadequate support at stations, SAPS had met and engaged with the Minister yesterday regarding capacity and fixed establishments at the station level. 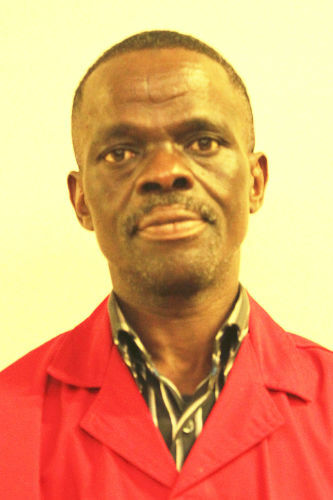 Maj Gen Edward Ngokha, Head of the Forensic Science Laboratory, said that with regard to tampered laboratory evidence, SAPS conducted quality tests on all samples obtained by the analysts from the day they received them. There was value for money in the forensic labs, which could be noted from the increase in cases processed within the stipulated turn-around time. Ms Kohler Barnard said that there had been reports of tampering with the blood alcohol evidence samples in the labs and as such, convictions may be subject to challenge in court which eventually may have an impact on the SAPS records of convicted cases. She asked on how SAPS was planning to deal with such cases. Gen Ngokha said that SAPS did not have the mandate to deal with blood alcohol samples due to lack of capacity, as it was within the purview of the Medical Laboratories. Mr Mhlongo said that the arrangement was agreeable, since it guaranteed the integrity of the samples and eliminated the possibility of tampering. This was a case of complementary tasks between government agencies to achieve the same objective. Ms Kohler Barnard asked what SAPS’ strategy was for dealing with cases where a Department of Health (DoH) employee was found to have tampered with the samples. Had SAPS engaged with the Department on how to deal with such issues? Gen Ngokha confirmed that SAPS was currently engaged with the DoH regarding the issue, and they were looking for solutions. Lt Gen Mothiba asked whether they could be given time to find out the extent of the problem and give the Committee a response in writing. He also asked to respond in writing about the non-payment of pension funds to retired officers. Ms Kohler Barnard said that the pension funds issue was not really a SAPS matter, but rather an issue for the Compensation Commission. Lt Gen Mothiba, on the section 35 issue, said that the practice had not yet stopped and that SAPS would be giving its response in writing as well. Ms Kohler Barnard clarified that she was referring to section 45(a), where by SAPS members were being retired with a boosted pension, despite being discharged for misconduct. Maj Gen Pitso Ramatsoele said that the protection of witnesses applied only once it was a National Prosecuting Authority (NPA), case but not when the matter was under investigation. Witness protection was only advised and as such remained a voluntary option. However, some witnesses declined the offer for the witness protection programme. Ms Kohler Barnard asked if the members of the Philippi East station were being investigated by the DPCI. Lt Gen Matakata said that all cases of corruption were referred to the DPCI, although there was also an anti-corruption unit in the province under General Jula. Ms Kohler Barnard asked if any members of the Phillipi East station had been reported on corruption charges, and requested a response in writing on the matter. Maj Gen Ramatsoele said that the targets for their indicators were informed by the previous years’ performance, which was used as a baseline. If they were increased too high, they may become unachievable. However, SAPS remained determined to detect as many cases as possible in order to increase the baseline. Lt Gen Matakata said that the performance indicators did not mean that the DPCI was not investigating cases involving corruption. Mr Mhlongo said it was important for ordinary citizens to see that perpetrators were being pursued and prosecuted so as to not normalise corruption in society. Foreign agencies should not be the ones responding to issues occurring in South Africa, and domestic agencies should improve on their responses. Gen Ngcobo said referred to the OR Tambo airport investigation, and said crime intelligence was covering not only that terminal, but all other entry points as well. Maj Gen Ramatsoele said that crime detection was affected by poor video footage which could not identify perpetrators. As a solution, new video cameras were being used to link perpetrators with the cases. SAPS would try to find new ways of linking the perpetrators, even in cases where the witnesses refused to cooperate due to fear of victimisation and intimidation. Mr Mbhele asked whether it was possible for the accused to be prosecuted in a different magisterial district, where the witness would no longer be in an environment where they could be intimidated. Maj Gen Ramatsoele responded that such an issue was not within the influence of SAPS -- the National Prosecuting Authority was the relevant body that could determine if a case could be prosecuted in another jurisdiction. Lt Gen Matakata said that regarding the low target rate for cybercrime cases, it was reviewed upowards upon the request of the committee in the previous year and now it was at 50%. Ms Kohler-Barnard said that the AGSA had reported that they could not find any evidence for the reported achievements of the cybercrime division. There was a lack of a specifically design plan to manage the performance. Lt Gen Matakata said that there had been a review regarding the challenge of monitoring performance, since there were cases of duplication of duties with other divisions. Maj Gen Ramatsoele said that in the detection of cases involving women and children, the target indicator for children had been reached, but not that of women. However, a new database had been created which was being facilitated by other agencies, to assist in the cases. The indicator for violent conduct in public protests had not existed in the past and would be increased on a yearly basis, depending on the performance. Mr Ramatlakane asked whether the people heading those units were up to the task, particularly those in the Western Cape. Maj Gen Ramatsoele said that crimes against women and children remained a priority, and there had been an increase in the number of cases being dealt with due to a dedicated team at every station to deal with these crimes. The Western Cape may need to come up with a specifically targeted plan for the province to deal with the increase in cases against women. Lt Gen Matakata said that, regarding the issue on whether the DPCI should be a separate vote, the matter would be taken up by the ministry, but she was not aware whether it had yet been handed over to the new Minister. The position of the National Treasury had also been sought regarding the matter, and they had recommended an amendment to the Act for it to happen. There were a lot of issues that needed to be considered and there would be consultations with the Office of the Civilian Secretariat for Police (CSP) on the way forward. Mr Ramatlakane said that there was nothing wrong with the Act, and the Portfolio Committee should make a resolution on it. Mr Mhlongo expressed his displeasure over the Minister’s brief attendance at the meeting, and said it was unethical. Although there may be other competing executive duties to be attended to, the Portfolio Committee existed to assist him in carrying out his duties, and therefore his attendance was important. Lt Gen Matakata said the perpetrators of the break-in at the DPCI were yet to be identified, since they had worn balaclavas and gloves. However, other avenues were currently being pursued. Lt Gen Sitole said the refusal for the evaluation of the national key points had not been a refusal, but a delay due to the set-out timeframes. There were ongoing engagements to resolve the matter so as to prevent a recurrence in the future. Regarding the break-ins at the Ministers’ houses, SAPS had the capacity to handle the matter, but certain physical security installations had to be enhanced in some of the houses. Some of the Ministers were living in estates which had restrictive rules regarding the suggested security installations. The Chairperson asked whether the SSA would be coming in to conduct the vetting process. Mr Mhlongo asked whether the Committee could be guaranteed about the quality of the vetting process and ensuring that all officers were the right personnel. The Chairperson said SAPS would be tabling their vetting strategy to the Committee on 28 November, and it would deliberate on the matter then. Mr Mbhele asked where the payments to informants were reflected in Program 4; Crime Intelligence. He also asked what ‘social contributions’ referred to under Program 3. Ms Kohler Barnard asked whether the criminality audit conducted on SAPS members would be conducted again. Gen Ngcobo said that the payments of informants was a covert payment, and fell under the purview of the Standing Committee on Intelligence, and could not be discussed in this Committee. Lt Gen Mothiba asked to respond in writing on the issues regarding social contribution payments and alleged SAPS members conducting business with SAPS through family members. Ms Molebatsi asked for an assurance from the National Commissioner that he was confident he had the right officers in SAPS. Mr Mhlongo asked to be appraised on the details of the Crime Intelligence unit. Lt Gen Mothiba said that so far there have been no red flags during the vetting processes. The Chairperson said that there was a need for a turnaround with regard to the qualified audit report, with specific attention directed to the audit action plans and performance management which were currently in the red due to the lack of proper records and data controls. There needed to be an improvement in the portfolio.